If you reviewed an audiobook today, Monday June 25th please leave your link in the Mr. Linky before midnight Central time (US) and you will be eligible to win a prize. I don’t always enjoy American historical fiction, but May the Road Rise Up to Meet You is a phenomenal novel. Each of the four storylines is wonderfully written and plotted in and of itself, but they mesh beautifully and authentically. It is obvious that the lives of the four characters will have to cross or connect at some point, but it is not always clear exactly how they will do so. The intertwining of the stories could easily have been very forced and contrived, but Troy draws his characters together naturally. 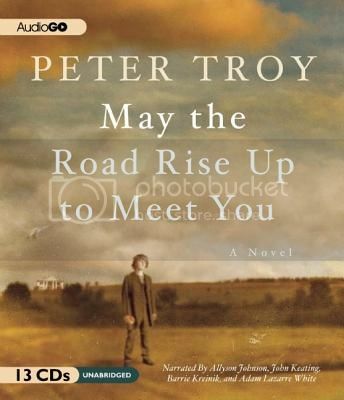 In addition to the four strong and compelling characters, each with fascinating backgrounds, Troy’s writing is very good, combining to make May the Road Rise Up to Meet just a wonderful historical novel. 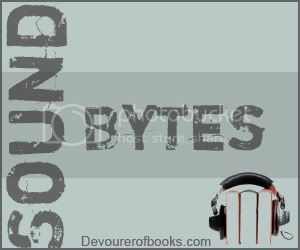 Troy’s novel is wonderful in and of itself, but the cast of narrators put together by AudioGo elevates May the Road Rise Up to Meet You to an even higher level. Each of the four main characters is voiced by a separate, talented narrator. Each of them manages to completely become their character and, perhaps even more impressively, each is able to seamlessly switch accents when one of the other characters engages in dialog during one their character’s sections. A wonderful historical novel, no matter how you experience it, but if you have the option I strongly encourage you to listen to the audio, which will only enhance the experience. Very highly recommended. Sigita’s life revolves around her three year old son, Mikas, particularly now that she and his father are separated. When she wakes up in the hospital with a concussion and an improbable blood alcohol level, her first thought is naturally for her son. At first it seems his father may have picked him up – a strange and worrisome enough possibility – but it soon becomes clear that Mikas has been abducted by someone unknown, and that his disappearance is related to his condition. Panicked, Sigita is determined to do anything possible to find her son and bring him home safely. Meanwhile, in Denmark, Nina Borg – an activist and member of a shadowy network dedicated to helping immigrants – has been asked to do an odd favor by her estranged friend Karin. She is to pick up a suitcase from a locker at the Cophenhagen train terminal and absolutely refrain from opening it in public. When she is able to open the suitcase, Nina finds a small boy inside, drugged but alive. The next thing she knows, Karin is dead and she fears for her own life and that of the boy. Early on in the story, The Boy in the Suitcase seems very disjointed. The story jumps from Lithuania to Denmark and back again and readers who are unfamiliar with the Scandinavian and Eastern European names may wonder if they will ever understand what is going on. Before too long, however, we get to real meat of the story and it becomes difficult to put down. 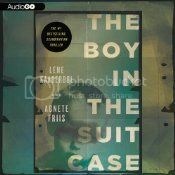 Both Nina and Sigita have secrets in their past that lend special significance and panic to the situation they are facing, making The Boy in the Suitcase a psychological thriller as much as it is the more straightforward thriller it appears to be. Despite a few very minor plot holes, it is an incredibly engrossing story, and yet not nearly as psychologically damaging as I imagined a story about a little boy stuffed in a suitcase would be. Katherine Kellgren’s narration of The Boy in the Suitcase shines. Her accents are wonderful, as is her differentiation between characters. At points she is so subsumed into Kaaberol and Friis’s story that her voice reaches a frantic, fevered pitch that is impossible for a listener to ignore. The Boy in the Suitcase is a darkly fascinating book, and a wonderful example of the Scandinavian crime genre, full of strong, smart women. I imagine that it works very well in print, but it is an absolute gem in audio. Highly recommended. Sabine Harwood is sick to death of Trinidad. She and George were supposed come for three years, and now they have been here for decades, through the fall of colonialism, through periods of hope and despair. Her children were born here, and her daughter’s children. Like it or not, Trinidad has become an integral part of her life. 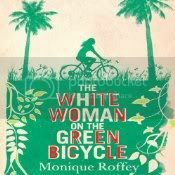 The White Woman on the Green Bicycle is a fabulous and personal look at colonialism and post-colonial living in the Caribbean. Sabine and George are particularly interesting character studies, with their feelings towards Trinidad. Although Sabine hates her time there and wants the family to leave as soon as it is possible, she is the one who who seems to have a feeling of empathy for the island and the people who live there. Part of her frustration is the mismanagement when there was so much potential after the granting of independence. George, on the other hand, love the experience of living in Trinidad, but for most of their time there what he really loves is the feeling of being a big fish in a small pond, the health of the island nation is not of particular concern to him. Between these insights and the lyrical writing, The White Woman on the Green Bicycle makes for a fascinating story. The quality of narration in White Woman on a Green Bicycle is simply astounding. Adjoa Andoh is the narrating equivalent of a chameleon. 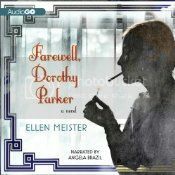 For more details on the audiobook, please see my review for Audiofile Magazine. A simply amazing production. Highly recommended. 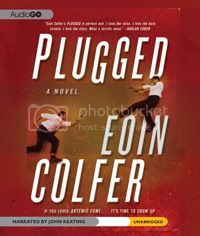 Now that you’ve read my review of Plugged by Eoin Colfer, you probably want to listen for yourself. I don’t blame you! AudioGo actually sent me an extra copy of Plugged, JUST to give away to YOU! All you need to do is enter your information on the form below by 11:59 PM Central on Thursday, September 15th. Because I will be shipping this prize out myself, this giveaway will be open internationally. If you have a mailing address, you can win!